Hundreds of grassroots campaign activities have been organised by volunteer Youth Plan ambassadors during the course of the Action Day, which has been months in the planning. 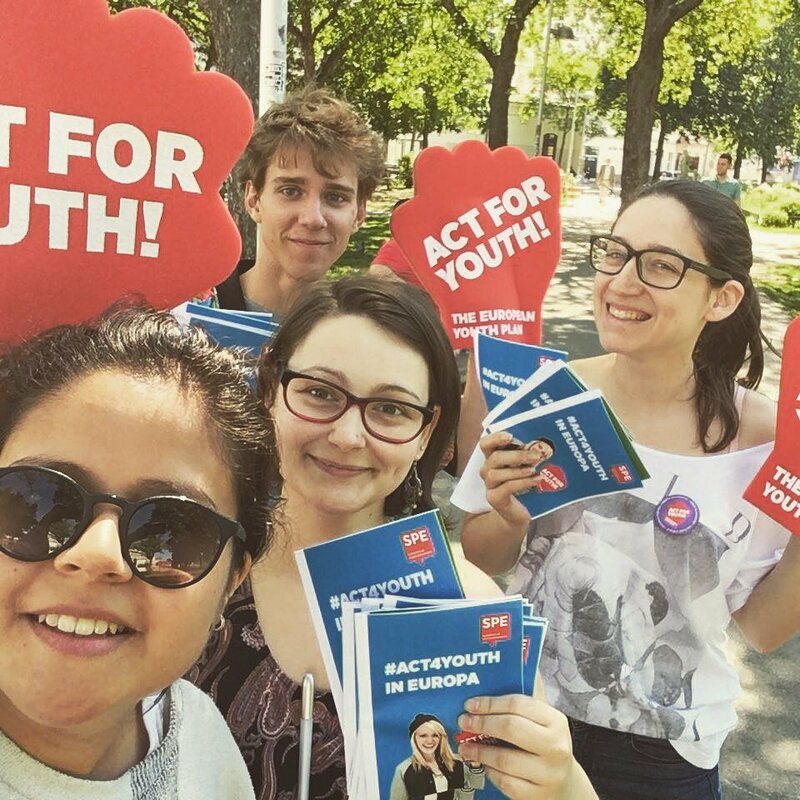 Photos, videos and media reports are being shared widely on social media, including via the PES headquarters in Brussels, Belgium, where the Twitter hashtag #Act4Youth was trending nationally earlier in the day. More activities are scheduled to take place this afternoon, through the evening and over the weekend. The aim of the Youth Plan is not just to improve the chances for Europe’s youth, but also to invest in the future of Europe itself by building the next generation of positive, outward-looking Europeans.